← And Now a Brief Word about Kate Chase . . . Ever since Winfield Scott had left the city of Puebla in August, 1847, the American garrison inside the city had tangled with Mexican guerrilla fighters. 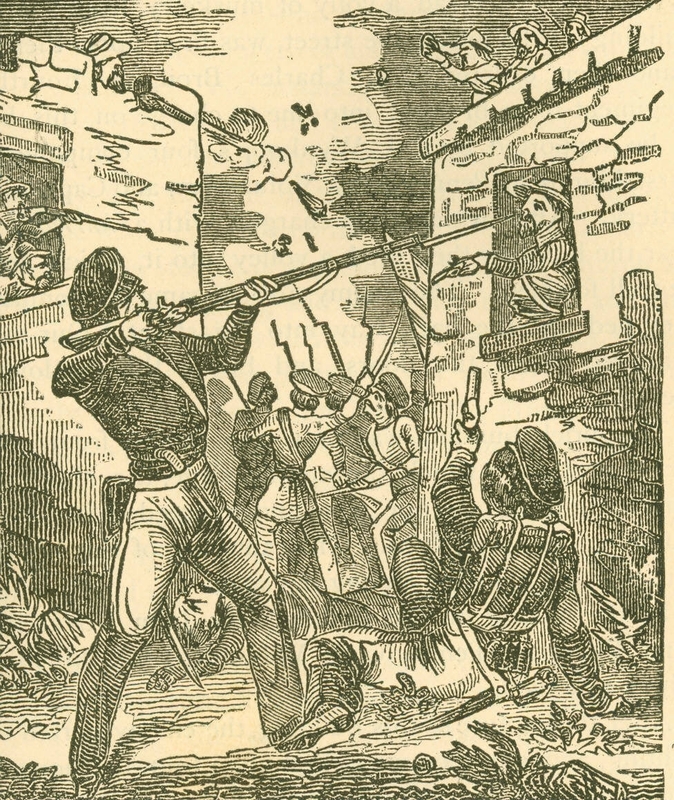 The Mexican irregulars attacked the cattle pens, and took pot shots at the American soldiers in the city. It was an irritating, ad hoc war, that suddenly intensified when, in early September, some 4,000 Mexican guerrillas closed on the city and prepared to re-take it. If Puebla fell, it could entirely negate Winfield Scott’s capture of Mexico City, trapping the American army there with no means of reinforcement or resupply. And to defend Puebla, there were 400 American soldiers. With such a strategic importance, the American garrison was fortunate to have as its commander Lt. Col. Thomas Childs. From Massachusetts and born in 1796, Childs had graduated West Point in 1814, and subsequently saw action in the end of the War of 1812. Childs had served with Zachary Taylor at the beginning of the Mexican War, commanding the American artillery in the resounding victories of Palo Alto and Resaca de la Palma. Put in command of the Puebla garrison, Childs took his responsibilities head on. “He is a large, robust and finely featured man,” an onlooker wrote. Though he was respected, Childs’s soldiers were also aware he embodied the old army spirit. “He is very quick tempered and exceedingly captious. He is a strict disciplinarian,” the onlooker continued. Childs’s garrison consisted of both volunteers and regular troops, and their trials began on Sept. 13. On the same day that Winfield Scott started his operations against Chapultepec outside of Mexico City, General Joaquín Rea closed on Puebla with his 4,000 guerrillas. Realizing he couldn’t hold the whole city, Childs fell back to three positions: the convent of San José, Fort Loreto, and Fort Guadalupe. As the Americans fell back to their fighting positions, Rea sent his soldiers into the city. The Mexicans “opened fire from some of the streets,” Childs reported. The following night, Sept. 14, the firing “recommenced, and from every street, with a violence that knew of no cessation,” Childs continued. After two days of skirmishing, Rea demanded Childs surrender, to which the American quickly denied. In response, Rea unleashed his soldiers in a coordinated attack against Childs’s forts, but the American artillery shredded the attacks with grapeshot. No matter how he tried or when, Rea’s attacks were repulsed. Though the Mexican soldiers had managed to capture Childs’s main supplies in the first days of the siege, the Americans retained enough foodstuff to survive in their defenses. The siege continued, and on Sept. 22, Rea received some vital reinforcements in the form of General Antonio Lopez de Santa Anna. After his humiliating defeats around Mexico City, Santa Anna marched what was left of his army to help Rea at Puebla. But Santa Anna marched as an embarrassed man, and he had even submitted his resignation as Mexico’s president before leaving Mexico City. Now he sought his retribution, and Childs’s garrison proved a perfect target. Santa Anna’s arrival bumped the Mexico forces close to 8,000 soldiers facing Childs’s soldiers. Childs turned to giving muskets to even sick soldiers; anyone who could point a gun and pull a trigger were put on the line. With Childs’s second refusal in hand, Santa Anna renewed his attacks. The days in late September wore on, but each successive Mexican attack was met with the same determined American musketry and artillery fire. They each fell back to their starting points. And then Santa Anna got word that would change his operations against Puebla. Realizing that his march to Mexico City would leave his supply routes open, Winfield Scott had taken steps to guard those roads. Part of the process were garrisons like Childs’s at Puebla, but Scott also recognized he needed to deal with the thousands of irregular soldiers who could target his supplies. So Scott had formed a “special antiguerrilla brigade,” whose job was to track and annihilate the Mexican guerrillas. That force included volunteers, regulars, and Texas Rangers and was commanded by Brig. Gen. Joseph Lane. Getting word of Lane’s approach, Santa Anna left command of the siege with Rea and set out to meet the American relief force. 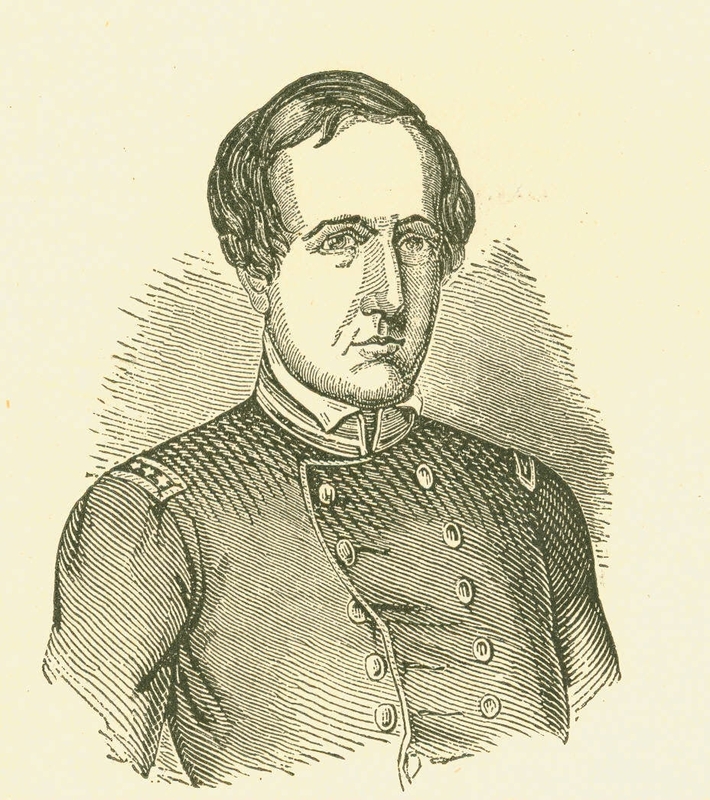 Rea, with far fewer troops, tried to keep the pressure on the Americans, but Childs responded to the lack of Mexican troops by ordering his own sorties, damaging Mexican battle positions and armaments. As the siege continued into the beginning days of October, it remained to be seen whether Lane’s relief could break through, or if Santa Anna could finish off Puebla’s garrison by defeating Lane. Timothy D. Johnson, A Gallant Little Army: The Mexico City Campaign (Lawrence: University Press of Kansas, 2007). Milton Jamieson, Journal and Notes of a Campaign in Mexico (Cincinnati: Ben Franklin Printing House, 1849), 48. K. Jack Bauer, The Mexican War: 1846-1848 (Lincoln: University of Nebraska Press, 1974), 329. Niles’ National Register, Nov. 6, 1847. J. Jacob Oswandel, Notes of the Mexican War 1846, 47, 48 (Philadelphia: N.p., 1885), 399. The Occupation of Mexico: May 1846-July 1848, 35. James I. Robertson, Jr. General A.P. Hill: The Story of a Confederate Warrior (Random House: New York, 1992), 15. This entry was posted in Armies, Battlefields & Historic Places, Battles, Mexican War and tagged A.P. Hill, George McClellan, Joaquín Rea, Joseph Lane, Mexican-American War 170th, Palo Alto, Puebla, Resaca de la Palma, Santa Anna, Thomas Childs, Timothy Johnson, War of 1812, West Point, Winfield Scott. Bookmark the permalink.